The Tunga Anicut Dam is built across the River Tunga. Located at a distance of 12 km from Shimoga, the Tunga Anicut Dam lies within the premises of Shettihalli Wildlife Sanctuary. The dam stands surrounded by lush green paddy fields and arecanut plantations and is a sight to behold. The Tunga Anicut Dam is built in S-shape. The unique fact about this dam is that it has no huge crest gates and resembles an earthen dam. There are many forested islands in the catchment area which adds to the scenic beauty of the dam. The Tunga Dam is situated in an area that has lovely teak forests. The place offers panoramic view of view of the Bababudain Giri Range. During the monsoon season the water level of the dam increases. The water gushing out of the dam is a splendid sight in itself. The Tunga Anicut Dam is one of the most popular picnic spots in the area. The place is ideal for sightseeing and enjoying some quite moments in the serene surroundings. One of the interesting things to do at the dam is to enjoy a boat ride in the water of the dam. Jog Falls: Jog Falls is one of the major attractions of Shimoga. It is the highest waterfall in Karnataka and the second highest one in India. Plummeting from a height of 829 feet the waterfall presents a mesmerising sight for visitors. Tyavarekoppa Lion and Tiger Reserve: The Tyavarekoppa Lion and Tiger Reserve is a famous wildlife destination of Shimoga. Spread across 200 hectares of land, the place offers the opportunity for visitors to go on safaris and to watch the wild animals from close quarters. Sakrebailu Elephant Camp: The Sakrebailu Elephant Camp is considered to be the best forest camp for training captive elephants in Karnataka. The main attraction of the camp is that it allows visitors to interact with the tuskers from a close distance. Mandagadde Bird Sanctuary: The Mandagadde Bird Sanctuary is a popular spot for watching various exotic species of birds. Spread across 1.14 acres of land, this island sanctuary has migratory birds flocking from all over the world. The Tunga Anicut Dam is accessible by various means of transport. The dam lies at a distance of about 280 km from Bangalore. 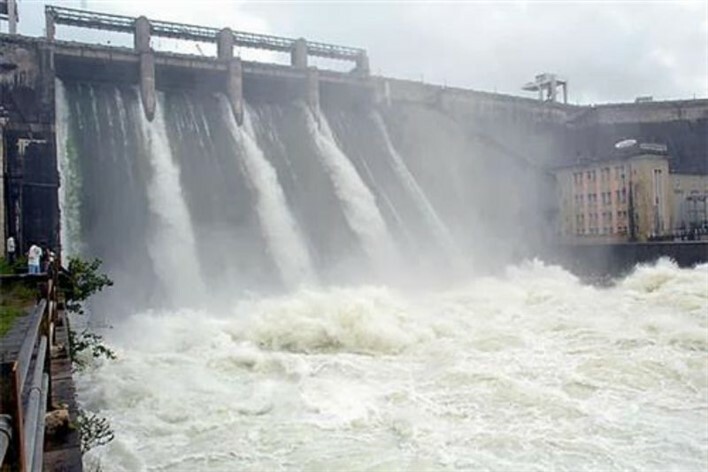 The nearest airport to reach the dam is located in Mangalore and lies at a distance of around 165 km. Visitors can hire private vehicles from the airport to reach the dam. The nearest railway station is located in Shimoga. Visitors can take trains from major cities of Karnataka to reach Shimoga. Taxis can be hired from the railway station to reach the dam. The Tunga Anicut Dam is well connected by the road network. Several buses connect Shimoga to various parts of Karnataka. From Shimoga visitors can easily take a taxi to reach the dam. Private vehicles can also be hired by visitors to reach the dam from nearby cities and towns.